A climate scientist at the University of Bern, is trying to disentangle the ways extreme weather, innovation, crop failures and pollution have shaped Europe since 1050, when Macbeth ruled Scotland, by looking at evidence trapped in ice cores. While tens of millions of people were dying, pollen from the plants, trees and crops growing in Western Europe was being swept up by the winds and carried toward the Alps. It became trapped in snowflakes and fell onto the region’s highest mountain, the Monte Rosa massif. Over time, the snow flattened into ever-growing layers of ice, storing a blow-by-blow record of regional environmental change. Centuries later, the crop pollen trapped in the ice reveal the collapse of agriculture associated with the pandemic, as bad weather led to poor harvests and fields lay fallow because there was no one left to work them. Brügger tracked the cereal and hemp pollen over time, noting their rise and fall. In the early 1300s, these crop pollen levels drop precipitously. “People were starving and there wasn’t much agricultural activity anymore,” Brügger said. The Black Death took greater hold of Europe from 1347 to 1351, killing 75 million people, and the pollen vanished as agriculture came to a halt. “There’s just nothing for five to 10 years,” she said. Then, as villages recovered, the pollen levels rebound. 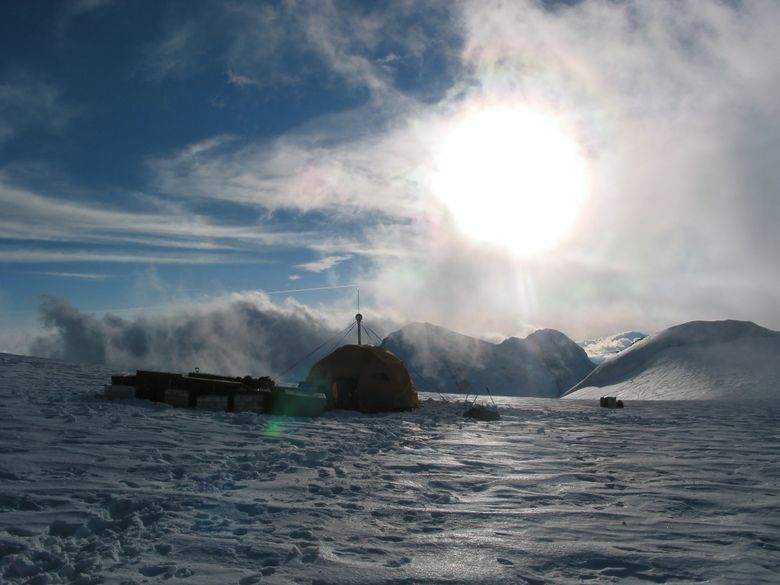 Back in the lab, Schwikowski and her colleagues dated the different sections of the ice core using water, lead and carbon isotopes, and by identifying “dating horizons” such as well-known volcanic eruptions, Saharan dust transport and nuclear weapons tests. Once the timeline was in place, Brügger began tracking pollen, spores and soot in the samples using a light microscope. 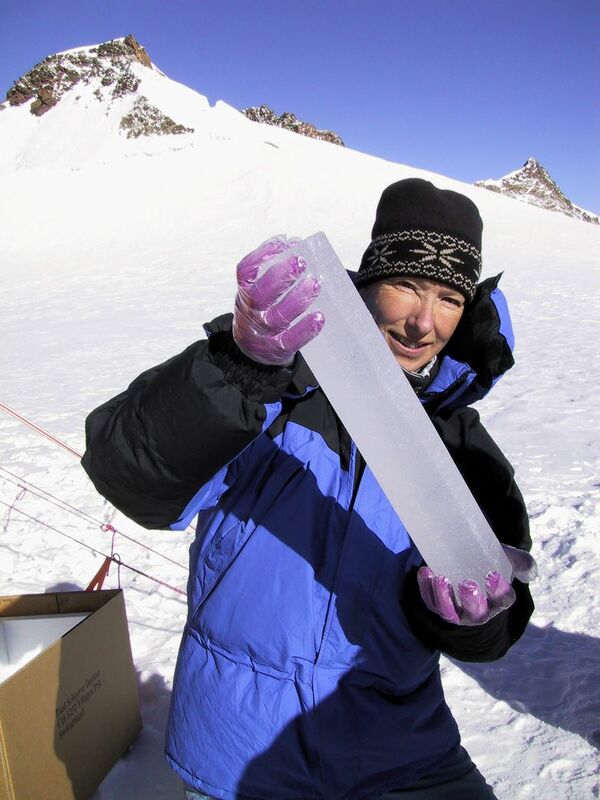 In all, she counted more than 40,000 pollen grains in the ice core. Grass pollen was abundant in the segments that corresponded to the years 1100 to 1200. During the Medieval Warm Period, temperatures in Europe and the nearby North Atlantic were as warm or warmer than they are now, and crops and forests flourished. The spike in grass pollen corresponded to the expansion of open landscapes, a transition from forests to pastures. She also found the highest levels of a spore from a fungus called Sporormiella that grows only on dung. Many scientists, including Schwikowski, are concerned about the fate of these glaciers under climate change. Some glaciers are beginning to melt as temperatures rise. Meltwater from the upper layers of the glacier trickle through the airspaces between the snow granules, smearing the chemical signals and making the core unusable. Colle Gnifetti has, thus far, been spared, because of its high altitude.